Changing a scene's status is easy when you can use colours to help differentiate them. With a glance at the Scenes list, you can quickly assess the status of a production. 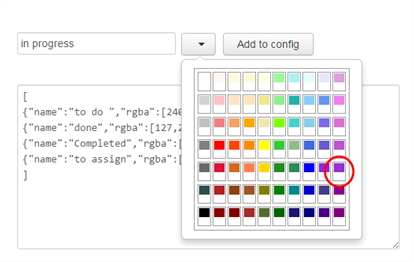 You can add new scene statuses and customize their name and colour, as well as manually edit the list. Select Admin > Change Statuses. 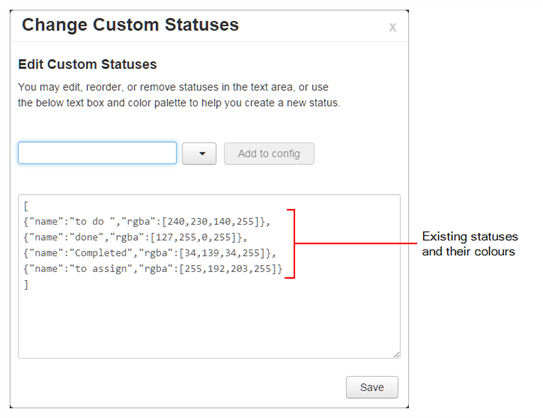 The Change Custom Statuses window opens. In the Status field, type in the name of the new status to create. Click the arrow and select a colour for the new status. The new status and its colour are displayed. The list of statuses updates with the new status and its colour defnition. 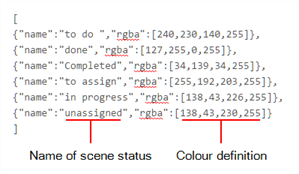 NOTE You can manually edit the name and colour definition of scene statuses. If you do, make sure there is no comma at the end of the last line. The new status is added to the list of statuses and the Change Custom Statuses window closes. 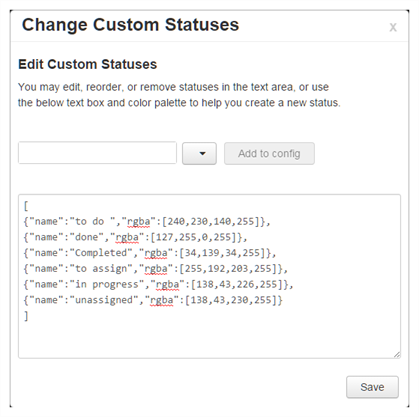 The next time you change the status of a scene, the new status will be available from the list. Select a status for the scene. 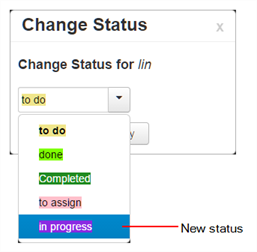 In the Change Custom Statuses window, manually edit the name and colour of a scene status. You can also add or delete a status. NOTE At the end of the last line, make sure there is no comma.